So it looks like I’ve got a rival. So it turns out there’s another type of PAC. So what’s the ‘other’ PAC? function in a neurotypical world. Putting on a “social mask”. Learning to act “in character”. Learning to respond to social cues (no quotes needed there!). the spectrum, teach our kids how to perform. So thanks again and again for what you do. You are deeply appreciated. And of course Sharon is 100% on the money. Having Asperger’s in a non aspie world is like ‘doing a Robert De Niro’ all the time. (De Niro famed for living like the character he played in certain films, for weeks at a time). This is 24-7 acting – except for some down time at home. It’s the harshest bunch of critics you’ll ever meet (the general non aspie population). So it’s sometimes a helpful connection to think of your child as the eternal actor. * Always (social) scripts to learn. * Always afraid of getting a line wrong. Helps explain a lot of the exhaustion and tough emotions they deal with. So I guess in a funny sort of way The Parenting Asperger’s Community is also a bit like a Performing Arts Center . . . The directors being YOU – the parent. place to chill and relax after another hard day’s ‘filming’. I was studying something on ‘hidden language’ and ASD recently. A guy on the spectrum was saying that he struggles with metaphors. Not the obvious ones like ‘raining cats and dogs’. (He gets those; his logical nature shows him that’s not real). But he recalls a time when he was 9 years old, and another kid said he would ‘kill him’. He spent the night terrified. Convinced the other boy seriously wanted to end his life. At such a young age things can seem scary enough – the brain’s just not properly developed. But to then drastically misunderstand playground talk like this. So it’s another tip for you to think about, in your role as parent detective. When arguments happen at school, and your child runs home in tears. One of the things to consider is what words were actually used. Then what was actually meant by them. (As we saw above – it’s not always the same 2 things). So much more to look for. So much more to consider. So much more complexity to wade through. You’re up to the job. And don’t ever tell yourself different. You’ll never get things 100% right (no parent ever does). But on a consistent basis you’re there for your child doing whatever you can to smooth the way. And no one could ask for more. So keep on . . . keeping on. You really are a strong & special person. And if you’d like a friendly place to be, with other parents in a similar boat to you, then check out The Parenting Asperger’s Community. It’s an online resource library . . . a monthly newsletter . . . a 24-7 support group . . . a members only website and so much more. I’m a bit of a book -a-holic. Forever ordering off Amazon, the library, and searching the local charity shops (thrift stores). Normally have about 5 books on the go. book about an undiagnosed aspie going through military training in the ’70s, and a book on how to write a novel. Not sure what is says really . . .
It’s got some great trivia and insights. So for entertainment purposes I may share a few from time to time if that’s OK, with you. Starting today with . . . I had no idea about any of these real names – did you? Fascinating stuff methinks. And talking of initials there’s one I use when I’m planning out new things to talk about in the world of Asperger’s and ASD. Always looking for fresh ways to understand ASD. (he’s actually the grandson of grand old actor Ed Asner). Which is a pretty amazing (and modern) way of looking it at, when you sit I think. Too many apps open leave your phone battery drained of energy. All the different senses firing off like mini apps. Smell… taste… touch… seeing … hearing… feeling. Phone apps cause all kinds of things to go on. Email pings… instant messages… podcast updates… game notifications and more. Often several happen at once. A job to keep up with them all, and prioritize them. Too many competing things to organize and keep on top of. Which leads to problems for kids with ASD. 3. It can be over stimulating. Bleeping… Updating … Downloading… Flashing. Different Lights …. Colors.. Fonts… Designs. Just so much going on with apps. Links to the earlier point of sensory overload for children on the spectrum. Just TOO much for the brain to handle. So much high impact, highly stimulating, activity can cause a meltdown. Sure there’s other great ways to link apps and autism – but these 3 tripped off my my brain today. And I hope this is a helpful way of seeing ASD, and understanding some of the challenges your child faces. I was reading a book about the teenage brain this week. According to research (by Professor Simon Baron Cohen of The Autism Research Centre, Cambridge University) there are 412 different types of human feeling. And each one is displayed differently on the face. At the end of the chapter, in this book, were various pictures of people’s facial expressions. You had to look and guess the emotion. And of course I took the challenge . . . Which just goes to show the complexity of this (or maybe just shows my own poor emotional intelligence). Point being that such a huge number of feelings to recognize is tough. And because everyone’s face is different – probably impossible for anyone to get this consistently right. So learning every type of facial expression does NOT seem a useful route for teaching communication skills for children with ASD. Teaching your child how to manage their OWN communication (verbal and non verbal). • How they initiate and/or respond to physical contact with others. • How loud they speak. • What tone they use. they are going to do better in communication. Makes sense – right? The general view, out there, is that people with Asperger’s lack social skills. So when social interactions go wrong the finger points firmly at them. But what if it were more complicated than this? What if it was more than just the ‘fault’ of the person with ASD who has a differently wired brain? Step forward . . .
(produced by an academic called Dr. Damian Milton). His idea is that the problem with social interaction happens between 2 people. So they BOTH have a part in this. negatively (based on their mannerisms, appearance and speech). Which is clearly going to make ANY social encounter less successful. So the communication problems are not JUST about the person with ASD (and their social skill challenges). (Which I hope shows like The Good Doctor help to do). Of course it’s not all about that. Children and adults with ASD do need support to develop their social skills too. And one way of doing that is getting better at understanding the body language of others. Ways Your Child Can “Read” Body language (Page 32) . . . Why Reading Trashy Comic Books Is ACTUALLY Educational (page 15) . 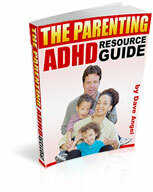 . .
13 Methods To Improve Your Child’s Communication (Pages 24 -26) . . .
A simple tip which may improve your child’s communication with others . ..
use and one that our pastor lent us. She and her classmates look forward to these jokes . . . Sometimes she will come home and say that she didn’t get a joke, so I have to explain it. She has become quite good with puns and making up her own. I love her sense of humor. Here’s to laughter, the best medicine. Pretty much stands in it’s own. extra chance to bond with other kids during the day. So thanks to Karen for that. I love to share simple ‘n’ easy tips like this; so if you’ve got any you’d like to share just drop me an email. where we have more tips, tricks and techniques for parenting a child with Asperger’s than you can shake a stick at. So the daffodils are starting to a bloom here in good old England. Spring starting to take a few tentative steps. Seems a good point to stop. And take in the fact that the first 2 months of 2018 are already nearly out! Don’t know about you . . . but the older I get, the quicker it all passes by. design-wise. But it’s still hopefully a great mix of tips, stories and ideas). Your child forgets their homework (due that day) . . . what do you do? Excited to share this with you today. Had a mom email me, years ago, to say that her son with ASD was doing well with therapy. Really helping him move on in life. Her son is all grown up and living independently. Not all easy street though. He’s had some frustrations finding a job. Frequently being told that companies were looking for more of a ‘people person’. So he took a year off. Went to a community college, and became a licensed computer networking associate. For the last year he’s been working full time as a computer technician. And one day he hopes to gain enough experience to work as a network administrator. Heartening to share such success stories. And as ever a disclaimer . . . It may be worlds away from your reality at this moment. But, if nothing else, please let it be another example of hope and possibility for you. Now one thing (beside a great mom) that helped along the way was finding the right therapy, at the right time. A wild boar stood under a tree and rubbed his tusks against the trunk. A Fox passing by asked him why he thus sharpened his teeth when there was no danger threatening from either huntsman or hound. Essential for the boar’s survival. Essential for your child’s survival too. * Prepare them to cope with social situations. * Prepare them to understand what is expected at school. * Prepare them for future plans of employment or college. Probably a constant mantra for you. This preparation. Hour by Hour. Day by Day. Is how you help your child maximize their potential. (Sadly – not too many short cuts available). But if your teen is aged 16-19 then we have a small special report which can help you . . .
It’s called ‘How to Choose the RIGHT Job or College Course with your 16-19 year old with Asperger’s.